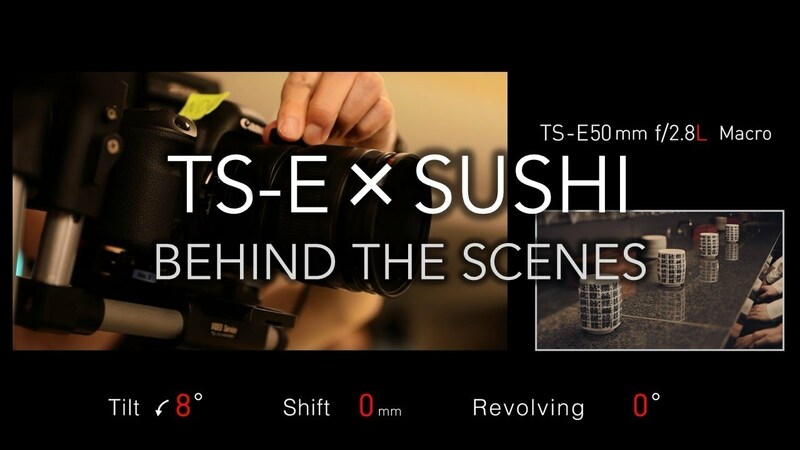 Watch how the production crew uses the Canon Tilt Shift TS-E 50mm f/2.8L Macro, TS-E 90mm f/2.8L Macro, and TS-E 135mm f/4L Macro lenses to capture a very creative short at a Sushi restaurant. Among the most outstanding features shared by three new lenses are the huge increase in maximum magnification of 0.5x and the macro shooting capability that this brings about. The combination of macro capability with the tilt-shift mechanism will enable better close-up shooting with a large depth-of-field, increasing possibilities especially in product photography, one of the genres where TS-E lenses are most commonly used.